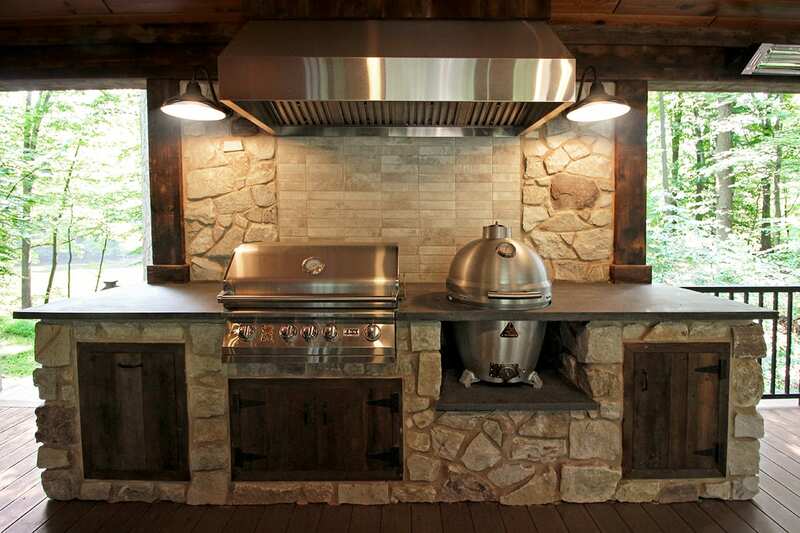 The term outdoor living can be used loosely when describing a space outside of your home where you do life. In the context of this beautiful creation though, it is describing a literal, livable space. I mean, there almost isn’t a need for the house! After tearing out an old wooden deck, we were left with a blank slate – what started as a desire for some covered space, turned into a magnificent open porch, trumping almost all that we’ve built previously! Working closely with the homeowners, we incorporated gorgeous reclaimed barnwood throughout the entire space, tying the various areas together with a common look & texture – and the stonework is a match to the front of the house, again aiding in a cohesive look throughout the whole home. The kitchen area has it going on, complete with gas & charcoal grills, refrigeration, trash & storage areas hidden behind custom cabinets, a kegerator & custom Jack Daniels barrel bar! 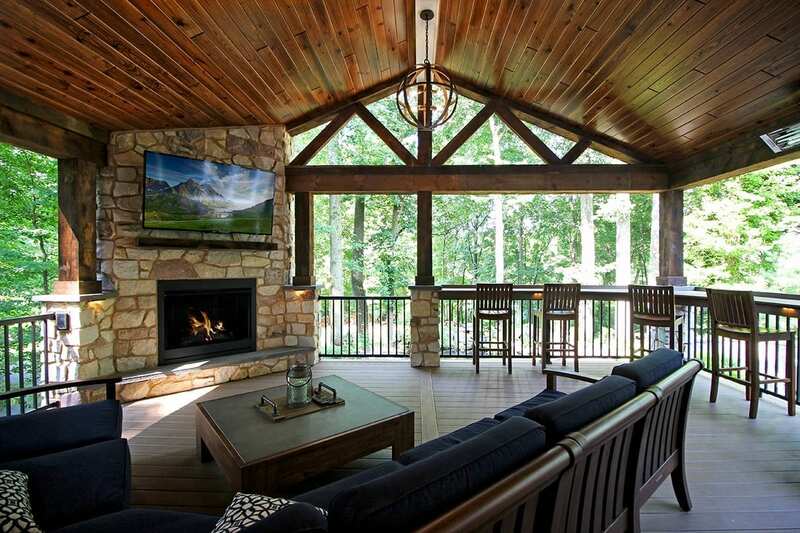 On the other end of the porch, is a lovely fireplace that creates such a homey feel whether lounging on the couch or sitting up to the curved bar seating. At the end of the day, there are too many features to talk about – but all together, they create an absolutely beautiful & stunning space fit for enjoyment year round.